We are a small kennel located in Cornwall along the Tamar river which borders Devon and Cornwall in South West England. I moved to the UK in 2004 and settled here in Cornwall, we registered with the Kennel Club in 2006, our affix "LAVIKA" comes from the first two letters of the names of our family at that time eg: LAna, VInnie and KAtya (who is now twelve years old and is following in her mums footsteps in the show ring, she is now down in the Shetland Sheepdog records as being the youngest handler (5!) (not junior handling but main competition) at championship shows, she competes against experienced handlers, and can often be seen handling in line ups and winning the top awards! 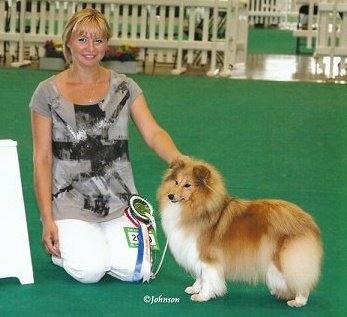 We bred our first "LAVIKA" litter in 2006 out of my Ukrainian homebred tri colour girl "Angie New Sheltie Dreams", who produced Champion abroad and became a grandmother of UK Champion "Shellamoyed Heavenly Blue". 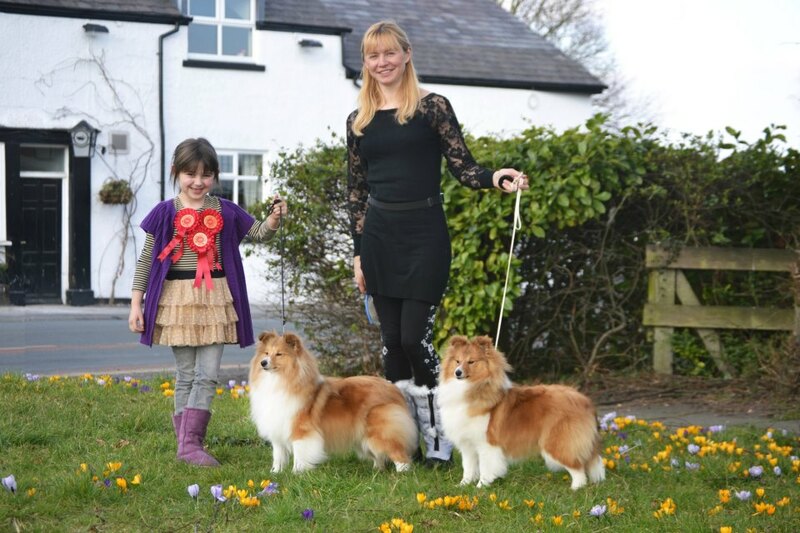 The sable line came from our beautiful "Champion Milesend Goodtimes at Lavika" - "Timey" born 2007, she has had a super show carrier winning 7 CCs & 8 RCCs including CC, 2 RCCs and Best Puppy at Crufts, her daughter "Champion Lavika Summer Time JW" also won CC at Crufts and grandson "Lavika Lush Life" was Best Puppy at Crufts 2018. Timey's offspring are successfully shown today and we are very proud of all of them. 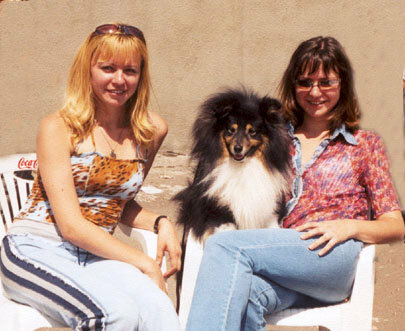 I am originally from Ukraine were together with my sister Natalia we had a Sheltie kennel called "Lovely Funny" which we established in 1990. 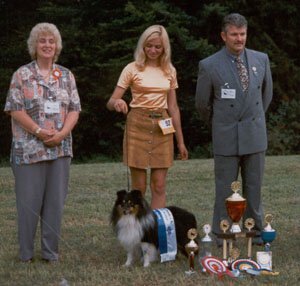 Our first Shetland Sheepdog came in 1995 - our tri colour dog "Multi Champion Valentino vom Ohmtalteufel", imported from Germany (Beate & Udo Alexander), he was a multi-winner in the ring, his greatest win was Best In Show under Mrs Sandra Taylor (UK) and Mr Guy Jeavons (Canada) at the 1997 German Sheltie Specialty Show which was the most popular European show at that time. 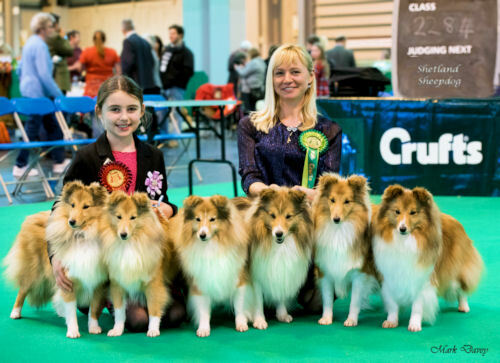 Our "Lovely Funny" Sheltie kennel in Ukraine was one of the most successful show kennels in Europe. "Champion Lovely Funny Glencharm Sophie" was the World Winner 2003 at World Dog Show in Dortmund, Germany. Shelties have always been my passion for as long as I remember and will continue to be a huge part of our family for ever.